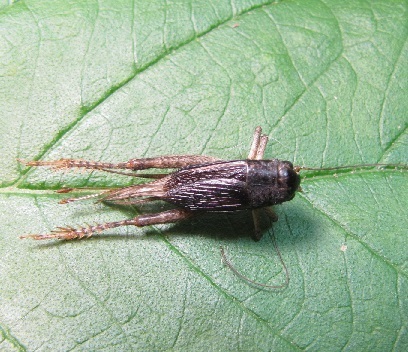 Comments: A small, dark grayish brown cricket with a distinctive pattern of pale stripes on its head. 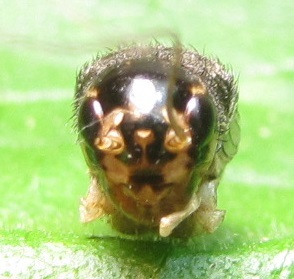 The head is brown with a unique white stripe that runs between the eyes and bases of the antennae. White stripes also run ventrally from the bases of the antennae, partially surround the eye, and run forward from the rear edge of the occiput. The palps are also white. 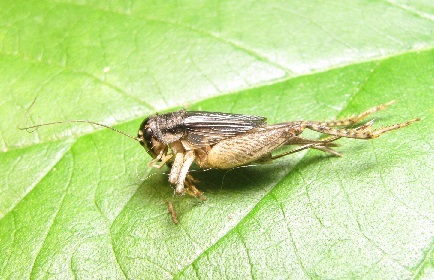 The pronotum, abdomen, and legs are mottled with dark brown and paler, yellow brown; the tegmina are blackish brown. The only species with which it can be confused is Miogryllus verticalis, which also has a dark head with a set of contrasting pale lines. That species, however, has only a broken pale mark between the antennae and has yellowish palps with a dusky terminal segment. Structural Features: The head in dorsal view is oval, similar to most members of the Gryllinae, rather than globose, as in Miogryllus. The lower portion of the face is more elongated than than our other species. Both micropterous and macropterous individuals exist. 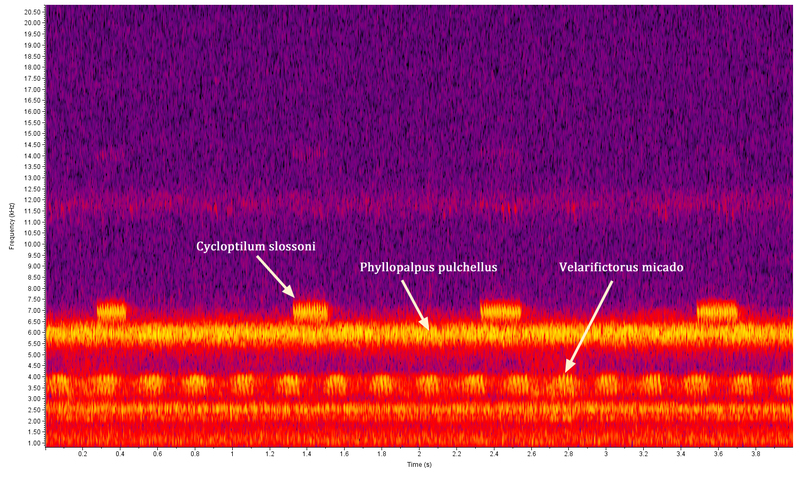 Singing Behavior: The typical calling songs consist of evenly spaced, long chirps given at a rate of about 3 per second at 80 F, with each chirp composed of 6 pulses (Alexander and Walker, 1962). A song illustrated on SINA has a dominant pitch of 3.6 kHz at 79 F (= 26 C). Alexander (1961) provided spectrograms of two additional types: an aggressive song, which is similar to the calling song but more irregular and with an increasing amplitude from start to finish, and a courtship song, which is consists of longer chirps, with as much as 14 pulses per second, usually preceded by 1 or 2 louder clicks (see scrolling spectrograph). Chen et al. (2005) describe even more types of songs -- as many as seven -- each with its own function. 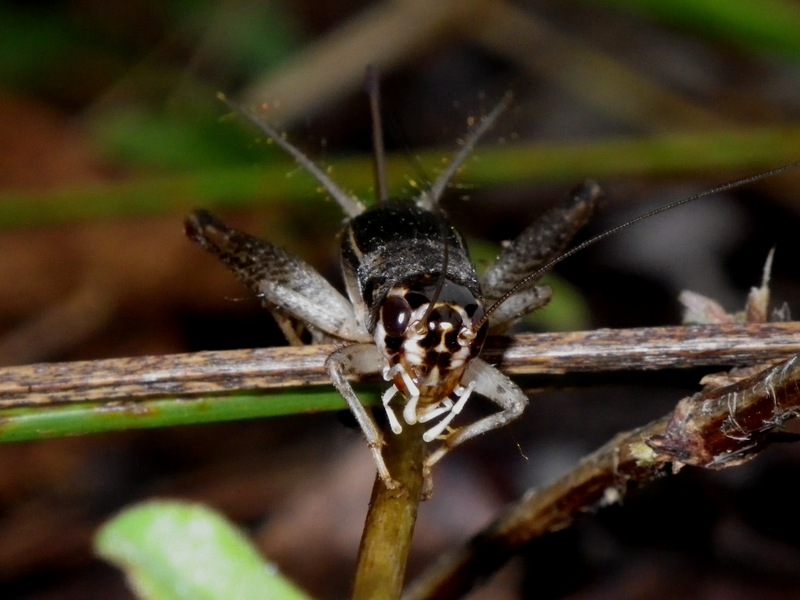 Habitats: In Florida, southern Alabama, and Mississippi, Walker (1977) reported that this species is widespread in rural areas, "where it is especially abundant in wet or mesic wooded and partially wooded habitats". Our records agree but we have also found it in North Carolina on dry monadnocks, upland fields, and residential lawns. In fact, it is difficult to describe where it does not occur, although we have not yet sampled xeric sandhill habitats, which Walker believed might be an unoccupiable barrier to this species. Observation Methods: Males are easily detected by their songs. Although they dig their own burrows, individuals can be found under logs and other debris. At least in high density populations, they can also be easily seen running through the leaf litter during the day or can be found along greenways and other trails at dusk. Abundance/Frequency: This species is now probably found throughout the Piedmont and Coastal Plain. One extremely high density population was observed during a bioblitz held at Lake Norman State Park, Iredell County, on September 8, 2018. While males were heard singing at fairly spread out locations, individuals of this species were constantly seen underfoot, from bottomland forests to dry ridges, all far from human habitations; on the other hand, it seemed no less common in disturbed grassy areas or old field habitats close to buildings (S. Hall, pers. obs.). 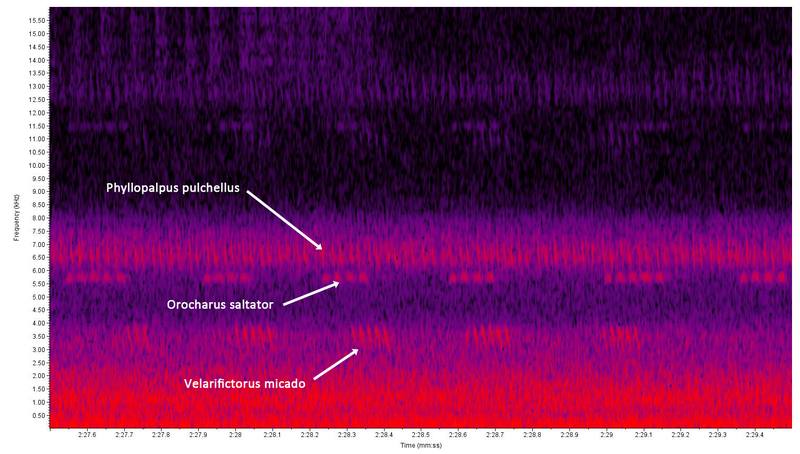 Comments: As an introduced species, Velarifictorus does not merit any conservation efforts on its own behalf. However, its widespread penetration of natural areas should be monitored to see what effect it is having on our native cricket fauna. 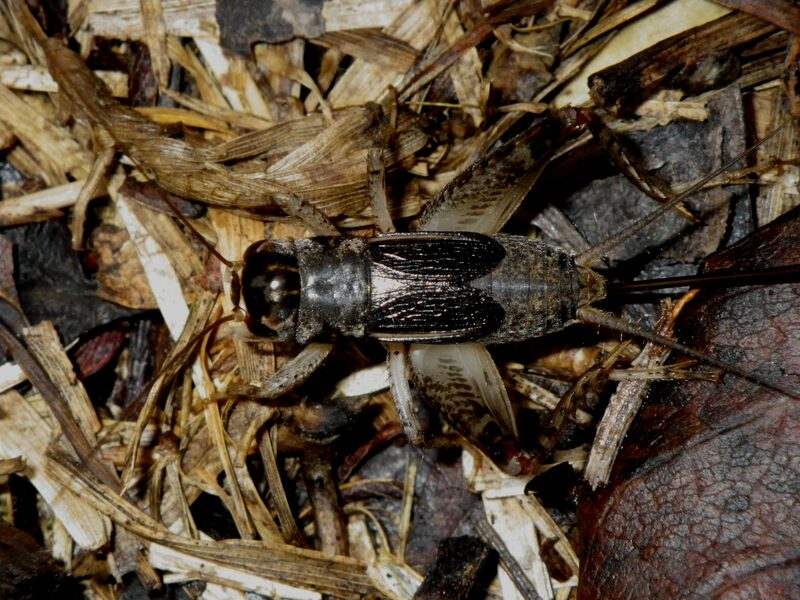 In at least a few areas in North Carolina, this species reaches extremely high densities, where it may be having a significant impact on our native crickets due both to its possible predation on them as well as its competition for space and food. This species may turn out to be as major an invasive species as Japanese Stilt Grass, although less likely to be noticed by the general public.